ABOVE: Gocta Falls in Peru’s province of Chachapoyas is likely the world’s fifth tallest waterfall. We need healthy ecosystems for myriad reasons. One of the most tangible is water. 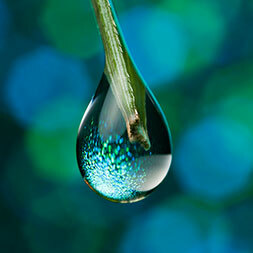 Nature & Culture harnesses the basic human need for clean, abundant water to drive conservation. By integrating municipalities and communities into a single conservation trust to collect water use fees, we developed an innovative financial mechanism for watershed management. The funds generated are being used to empower communities in implementing sustainable agricultural practices, rehabilitating damaged ecosystems, and creating new protected areas. Nature & Culture has been instrumental in two municipal water funds for human consumption in Ecuador: FORAGUA in the three southernmost provinces and FONAPA in the municipalities around Cuenca, Ecuador’s third largest city. These water funds pool the resources of multiple municipalities to ensure clean, abundant water through sustainable watershed management. To enroll in FONAPA or FORAGUA, a municipality must pass a legal ordinance (1) establishing municipal protected areas within its jurisdiction and (2) establishing the municipality’s ability to collect a fee from water users within its jurisdiction. To date, the 12 municipalities enrolled in FORAGUA have created 336,000 acres of protected areas. The five municipalities in FONAPA have protected 206,317 acres as municipal reserves. FORAGUA has also raised $2.9 million for conservation and management activities like reforestation and fencing to keep cows away from water sources. Nature & Culture is facilitating landscape conservation along the Ruta del Agua (Water Route) in the Napo watershed of northeastern Ecuador. Six adjacent municipalities have formed a Ruta del Agua Association to support water-based tourism in their jurisdictions, from white-water rafting in Quijos and El Chaco Municipalities to watching pink river dolphins in the lakes of Cuyabeno Municipality. Similar to FORAGUA and FONAPA, the Ruta del Agua municipalities are declaring municipal protected areas and using local water fees to generate funding for forests that provide water for domestic and recreational uses. Additionally, the Association’s multi-jurisdictional framework facilitates coordinated landscape-level conservation. The concept is simple. Irrigators in the semi-arid lowlands pay into the water fund, based on their water usage. 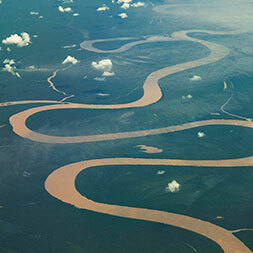 This money then supports conservation activities upstream – in the high-elevation cloud forests and páramos (moorlands) – where the water comes from. To date, the Quiroz Water Fund has generated $500,000 for conservation activities. 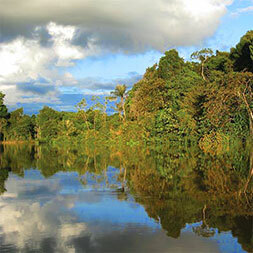 It has contributed to the protection of 21,000 acres, or roughly 10% of the total area of Piura’s high elevation ecosystems where most of the water is generated. The fund has also paid for tree nurseries and reforestation with agroforestry species like avocado, vainillo (a legume used in leather tanning) and romerillo, and installation of drip irrigation systems to conserve water. 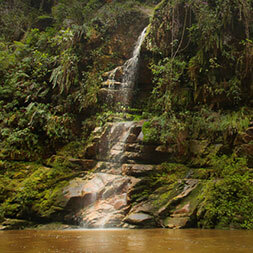 Nature & Culture is working with cities in Peru to establish and implement local water funds. We are currently developing the Nanay Water Fund to protect clean water for the city of Iquitos – home to almost 400,000 people – and support the protection and management of the Alto Nanay Pintuyacu Chambira Regional Conservation Area. The water fund model is generating interest across Latin America and beyond. 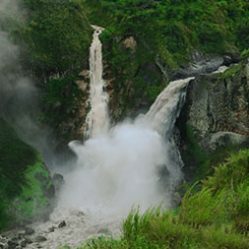 In 2018, a group from Ghana including representatives from the Forestry Commission of Ghana, Guiness Ghana, and local residents visited southern Ecuador to learn about FORAGUA. All participants live in or source water from the Atewa Forest and are interested in implementing a water fund model. We leverage people’s need for clean water as a tool to protect and restore forests and other important ecosystems. Nature & Culture is working with Ecuador’s National Water Secretariat (SENAGUA) to establish national protected areas of hydric interest. These Water Protection Areas, which represent a new kind of national conservation area for Ecuador, will conserve critical ecosystem services and clean water for Ecuadorians. 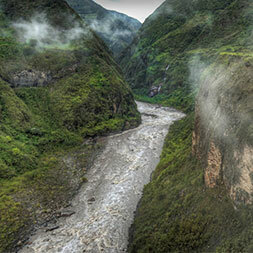 Currently we are working in the southwest Andes of Ecuador to establish one of Ecuador’s first Water Protection Areas. This will give the ecosystem one of the highest legal categories of protection in the country. Nature & Culture supports municipalities in creating protected areas and enrolling in water funds. To enroll in a water fund, a municipality must pass a legal ordinance establishing municipal protected areas within its jurisdiction. Additionally, we help build the capacity of municipalities outside of water fund areas to protect and manage their watersheds. We share our experience and expertise to build capacity for effective water resource management. For the past two years, Nature & Culture and partners have been designing and implementing Ecuador’s first Water School, helping dozens of municipalities throughout the tropical Andes address critical watershed management needs. The Water School takes advantage of our expertise in water fund creation and effective watershed management. It builds the capacity of local governments to manage their watersheds in perpetuity. By training municipal watershed managers as a cohort rather than individually, the Water School accelerates the enrollment of new municipalities into existing water funds. As such, it supports Nature & Culture’s goal to increase the protection of critical water resources, forests and biological diversity. Through the Water School, we are documenting and formalizing the municipal water fund model, enabling the model to be implemented more fluidly throughout Ecuador and in other Latin American countries. We have also involved UNESCO as an international ally. 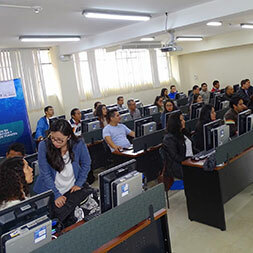 UNESCO is participating in the Water School through ecohydrology courses, publication of the first Ecuadorian book on Ecohydrology, and designation of a demonstration site.